CAIRO — An Egyptian opposition coalition of secular and left-leaning parties has urged authorities on Monday to immediately release a former diplomat who earlier this month called for a referendum on President Abdel-Fattah el-Sissi's government. Masoum Marzouk, a veteran of the 1973 war against Israel who served in the Egyptian army's special forces, was arrested along with other activists on Thursday. They were ordered to remain in custody for 15 days pending an investigation into terror-related charges. The Civil Democratic Movement coalition said Monday in a press conference that the arrests were "part of the government crackdown to silence opposition voices." The coalition also called for the release of other activists who were arrested on Thursday along with Marzouk, including Raied Salama, an economist from Marzouk's group and Yehia al-Qazzaz, a geology professor who recently called for el-Sissi's ouster on his Facebook page, writing "resistance is the solution." Mohammed Anwar Sadat, nephew of Egypt's late leader Anwar Sadat, said in the press conference that it is time for "a genuine political reform... for the president and the state to listen" to the opposition. Opposition leader Hamdeen Sabahi meanwhile called for a political change. "We believe that this regime must be changed. This is a failed power. This is a repressive power ... which violated and insulted the constitution," he said in the press conference. The coalition dismissed what it said is "a defamation and inciting campaign" by state-run and pro-government media since Marzouk proposed his roadmap for a political transition earlier this month. Pro-government media in the past weeks lashed out at the former diplomate and his associates, labelling them "traitors." They also claimed the detainees cooperated with the banned Muslim Brotherhood group, which the government designated as a terrorist group in 2013 after the military overthrow of an elected but divisive Islamist president. Khaled Dawoud, leader of the liberal al-Dustour party, denied that he had made any contact with the Muslim Brotherhood. "We are parties which believe in the January revolution (that toppled long-time autocrat Hosni Mubarak in 2011) and its second wave in June 30 (2013). There is no basis (that we had) a dialogue with the Brotherhood," he said. Dawoud said the opposition faces "a systematic distortion campaign ... and we are denied of any communication with any local media." Earlier this month, Marzouk had called for a referendum and proposed a political roadmap if Egyptians voted against the government. 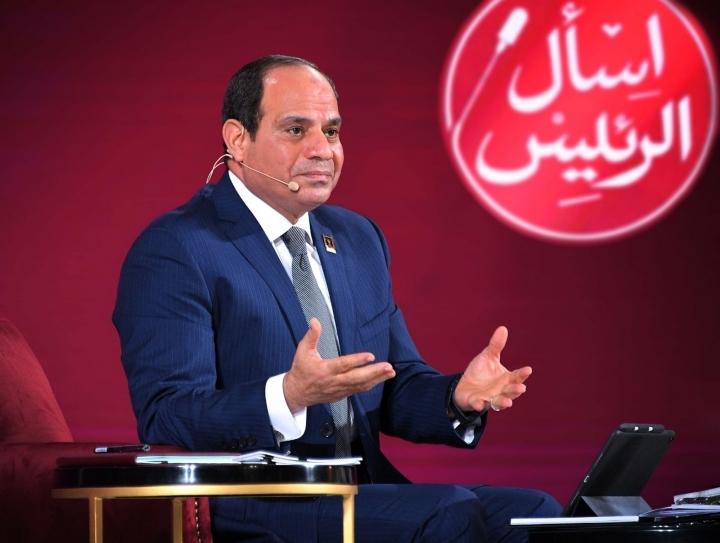 The transition would have included the suspension of the constitution, the termination of the current presidential term and the dissolution of parliament, which is packed with el-Sissi supporters. Marzouk said if the government rejected his proposal he would hold a "popular conference" in Tahrir Square — epicenter of the 2011 uprising — on Aug. 31. El-Sissi recently said that he was "upset" over the online calls for him to step down.